Aston Villa are the visitors to Deepdale this Wednesday, for only the third league fixture between the clubs in 43-years. Prior to last season, the sides hadn't met in a league fixture since 1974. Both teams will be hoping to get back to winning ways this week, in order to strengthen their promotion aspirations. The Lilywhites have won just one of their last six games and as a result, have dropped from fourth to ninth. The club's last win came against ​Hull at the end of September, and Alex Neil's men have lost their last two matches, including Saturday's 3-2 defeat to Brentford. Even more worrying for Preston fans, their side have failed to win any of the last three matches at Deepdale. 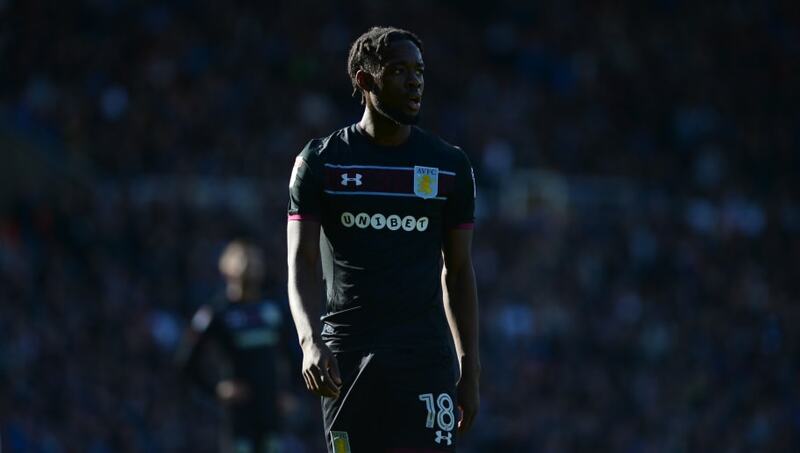 Villa have lost just one of their last eleven league games and earned a credible 0-0 draw against ​Birmingham on Sunday. Villa have also only lost one of their past five away games, conceding just three goals in those matches. Graham Taylor's Villa side made easy work of Preston in a fourth round League Cup tie, in 2002. The Villans' goal scorers on the night included Darius Vassell (two), Dion Dublin, Juan Pablo Angel and Thomas Hitzlsperger. However, it was a rare highlight in an otherwise disappointing campaign for Villa, who crashed out the League Cup two weeks later, against ​Liverpool. Alex Neil has a defensive crisis to deal with ahead of Wednesday night's game, and his side are currently missing five senior defenders. Paul Huntington picked up his fifth booking of the season in Saturday's defeat to ​Brentford, whilst Ben Davies had his appendix removed at the weekend. The duo join long-term absentees Tom Clarke, Greg Cunningham and Tommy Spurr on the sidelines. Andy Boyle is now expected to make his first ​Championship appearance of the season on Wednesday night. Preston can once again call on Alan Browne, who has served his one-match ban after being sent off against Wolves. Jonathan Kodjia is not available for selection after suffering an ankle injury in Sunday's defeat to Birmingham, and is expected to be sidelined for a number of weeks. As a result, Steve Bruce will likely recall Kienan Davies to the starting line-up. Neil Taylor is available for the first time since September, having served his three-game suspension. Jack Grealish could be included in the match day squad for the first time this season, while Henri Lansbury could also be selected after recovering from a knock. With ​Preston's defensive frailties, the spotlight will be on Boyle. The Irishman has only made one appearance for the Lilywhites so far this season, in a League Cup defeat to Accrington Stanley. Aston Villa's Davies was recently dropped from the starting XI, and will be desperate to cement his place in the side again. The striker's two league goals this season have both come away from Villa Park. Given Preston's defensive problems and the club's poor form, Villa have to be the favourites for this one. The Villans are desperate to cut the gap to the top two and their form has been impressive over the past two months.